Sigra might be busy but we still want to meet you! The final quarter of the year is looking exciting for the Sigra team with field work in the pipeline and three major conferences to attend as well. Sigra will be turning its sights to the Oil and Gas industry exhibiting a booth at the Asia Pacific Oil and Gas Conference and Exhibition (APOGCE) in Brisbane from the 23rd to the 25th of October. Sigra’s focus at the conference will be on its ability to offer a total coal seam gas exploration and appraisal service. Sigra has many years of experience in the mining sector where it has gained a great deal of experience with low permeability coals. The energy market in Australia is looking to gas for answers and Sigra is poised to offer results in the way of specialist field, laboratory and consulting services. It can also assist existing producers by providing solutions to fines production. 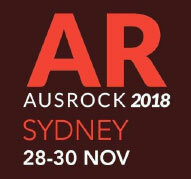 We want to keep talking rock mechanics/ geomechanics and the wider application of our work so much that Managing Director Dr. Ian Gray will also be presenting at AusRock 2018 in Sydney. The paper will focus on “The Practicalities of Effective Stress Measurement in Rock.” You’ll also have the chance to meet our new Business Development Manager who’ll be there to answer your questions.